MUNICH CITY MUSEUM: I'm both a history nut and a Munich freak, so the Munich City Museum had me jumping around like a pig in a mud pit. 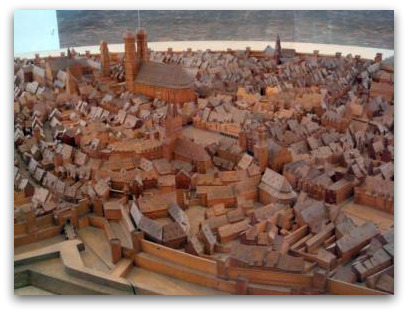 YE OLDE MUNICH: A model of how the city looked in 1570 at the Stadtmuseum. Since 2008 the museum has hosted an extensive exhibit tracing Munich's footsteps from tiny monk enclave to metropolis. Unfortunately most of the descriptions are only in German but there are audio guides on hand and English-language booklets to help you along. Starting with a box in the floor containing ancient monks' relics, this exhibit meanders through more than 850 years of Munich's history. The ground floor centrepiece is a model of 1570 Munich showing how it looked with the city walls intact. Also here are the Morriskentänzer (Morris Dancers, 1480), figurines made to adorn the ballroom of the Altes Rathaus. Sculptor Erasmus Grasser received 150 pounds for the 10 little fellows, enough in those days to buy himself 1000 sheep. Also here is a bust of Max I from 1650, knights' armour from medieval jousts on Marienplatz and reproductions of four "puttos" (1640) from the platz's Mariensäule. GOOD LOOKS: A painting of Munich's Helene Sedelmayer. Up the stairs there's a mini conveyer belt spinning favourite Bavarian food but don't try to eat them, they're all chemically preserved (there's a restaurant back on the ground floor if you're hungry). 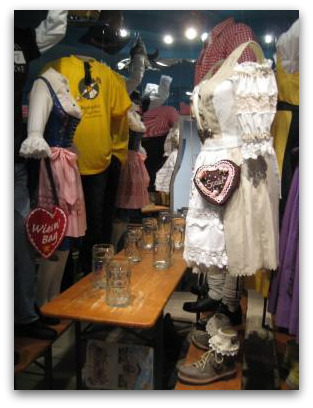 There are also old clothes including a traditional Dirndl dress that shows how they looked before cleavage was in (or more accurately, out!). Close by is a portrait copy of seminal Munich beauty Helene Sedelmayer (by Joseph Stieler, 1831). It's virtually identical to the painting of her in the Schönheitengalarie (Gallery of Beauties) at Schloss Nymphenburg. The original was given to Helene's family and her descendants still have it today. To the right is a house-coat worn by King Ludwig I almost every day for over 60 years of his life. Also on this floor are paintings of Munich including one of the horserace that gave birth to Oktoberfest and examples of delicate Nymphenburger porcelain. DEBAUCHED DIORAMA: A scene from Munich's famous Oktoberfest,on display at the Munich City Museum. The exhibits further upstairs take Munich through to the modern age. The early 1900s Jungendstil artistic movement is covered, as is the Great Depression, the Third Reich and post-war rebirth. Regalia from the 1972 Munich Olympics and a model of the Allianz Arena pay tribute to the city's sporting heritage. Don't miss the recreation of a modern Oktoberfest scene, with "invisible" partygoers dancing on the benches in typical Wiesn gladrags. I loved the details like the cigarette pack dangling out of someone's pocket and mobile phone stuffed into a pair of lederhosen. 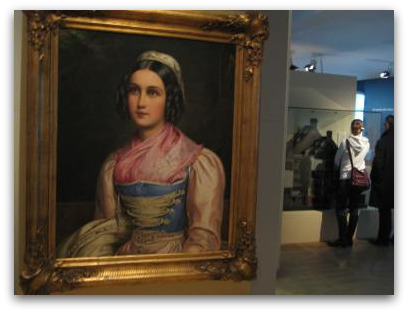 The Munich City Museum has other exhibitions on topics as diverse as photography, fashion and weapons. They're presented on a rotating basis, so what you saw here a year ago could be sitting in storage, replaced with something else today. Here are a few I saw. Munich was a spawning ground of the Third Reich, and named the Hauptstadt der Bewegung (Capital of the Movement) by Hitler. The dark days are documented in Nationalsozialismus in München (National Socialism in Munich) an exhibition on the ground floor, just to the left of the entrance. On display are old propaganda posters and signs with Orwellian regulations, postcards, uniforms and other memorabilia. I found the photos of the Jewish persecution deeply disturbing, and I was moved by the painting Das Brennende Karlstor at the end of the circuit, showing Munich ablaze at the end of the war. Get ready to have the bejeseus scared out of you on the third floor. The first thing that greets you is a life-size clown figure called Grimbaldi. Think Stephen King's It with a dog, goose and sausages spilling out of his pants and you'll know what I mean. This floor is devoted to puppets and marionettes, and there are occasionally puppet theatre performances for the kids. There are figurines from mermaids to crusades and glass cabinets with thousands of little wooden heads. KEPT THE BEAT: A huge drum from Northern Thailand, on the top floor of the Munich City Museum. Music lovers will feast their senses on the fourth floor, stocked with over 2000 musical instruments from around the globe. 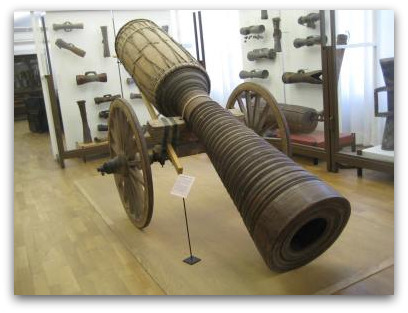 A highlight here is an enormous cannon-like drum from Northern Thailand that looks more like a weapon of mass destruction than something for keeping the beat. Also striking a worthy chord are the gold-gilded drums from the Chinese court. A large auditorium space hosts regular live performances. Cost: €4, concession €2, families €6. Entry is free to the permanent exhibitions on Sundays and public holidays. Directions: From Marienplatz, stroll south two blocks along Rindermarkt Strasse. The Munich City Museum is on a corner to your left.